Don’t you just love to soak in a hot bath after working in the garden all day? With a few easy ingredients, that bath can be even better! We all know that an Epsom Salts Bath is great for aching muscles but did you know that it can help relieve a migraine? Yep, add some baking soda and it’s a great skin softener and detox as well. A few drops of your favorite essential oil and you have your very own spa treatment right at home. I love concocting my own beauty products and this is one of my absolute favorite bath salt recipes. Important Note: some essential oils should not be used during pregnancy! 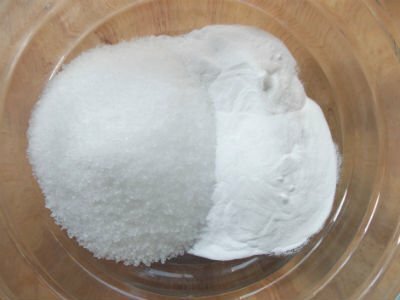 The basic ratio is 2 to 1: 2 parts Epsom Salts to 1 part Baking Soda. Mix the salt and baking soda in a large bowl. Add the peppermint oil and stir well. Store in a sealable container. This also makes a fantastic gift! Sprinkle 1/2 to 1 Cup of bath salts into running, hot water. Grab a glass of wine and enjoy a long soak! Did you try it? Leave me a comment below and let me know what you think! Kindle Price right now only $2.99! Hmm never heard of peppermint bath salts before, but I guess I will try it. Sounds like fun! Let me know what you think, Jeanne! Woow! Would love to try this kind of Peppermint Bath Salt! I’ve wonder how’s it feels 😉 Thank you for this! 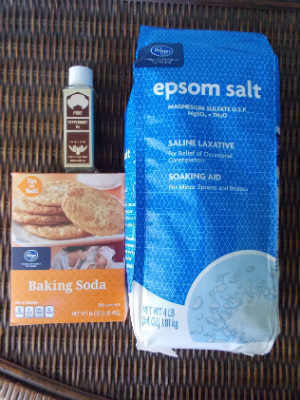 We love Epsom salt in our family, will have to give this a try. Great to know since I get migraines. Thanks. Love peppermint, so this sounds like something I would love. I have never seen the baking soda addition, what exactly does that do? Mmm I’m sure this smells amazing! It would be so relaxing to take a bath and enjoy the smell of peppermint. I need to go get some essential oils! I take an epsom salt bath almost every night–I love them! I usually don’t use peppermint but I will have to try it! It’s very refreshing! Or Lavender is great for a calming bath. This sounds so easy. And well peppermint always makes me feel better. Visiting from Wake Up Wednesday Linky Party. Love the smell of peppermint and would love to relax and soak in a bath with this recipe. Thanks for sharing on Merry Monday. 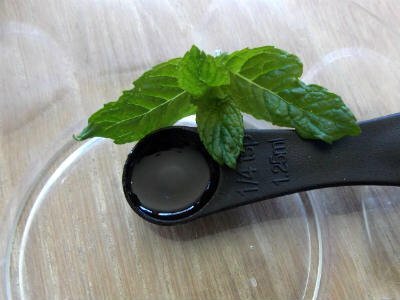 We can probably use pure mint extract (food quality), too! I’m going to check the various liquid pure extracts in the spice section of our grocery. I’m sure it would be just as good. Lots of great extracts in the grocery store! Great idea! Jasmine is very soothing, isn’t is?